Brazil's hangover from its annual Carnival festival is extra bad this year. Latin America's largest country is still crawling through its worst recession in its history. Brazil's economy shrank 3.6% in 2016. That's just a slight improvement from 2015, when it contracted 3.8%, but still far from good. It's the country's longest recession with eight consecutive quarters of contraction. Unemployment hit 12.6% in January. A year ago it was 9.5%. By comparison, at the height of the U.S. recession in 2009, unemployment peaked at 10%. Nearly 13 million Brazilians are out of work. Despite hints of a recovery underway, life isn't improving for ordinary Brazilians, experts say. "It doesn't feel like the recession is over in the streets of Brazil, but you find a lot of optimism in board rooms and within the ranks for government," says Brian Winter, vice president at the Council of the Americas. An investigation into a massive government bribery ring helped spark the downturn as Brazil prepared to host the 2016 Summer Olympics in Rio de Janeiro. 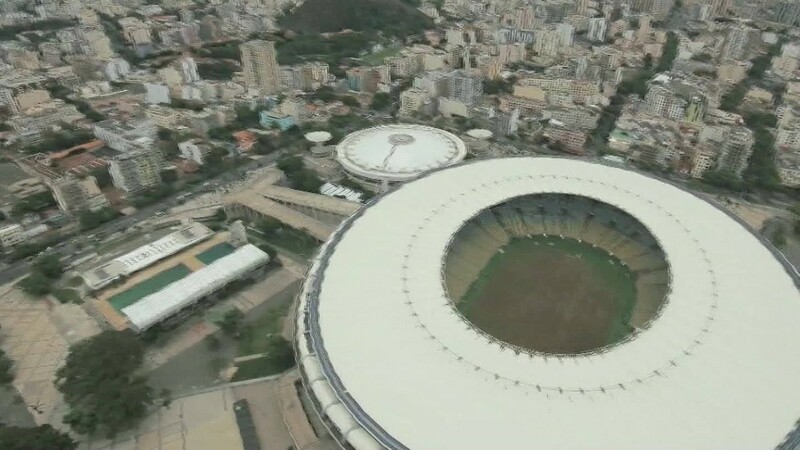 These days Olympic facilities like Rio's iconic Maracana Stadium have become "ghost stadiums" with stolen seats, parched soccer fields and vandalized equipment. The corruption-fueled recession partly led to the impeachment of former President Dilma Rousseff. Politicians, billionaires and corporate executives have been jailed. One Brazilian company in the bribery ring, Odebrecht, paid the largest anti-corruption fine in the history in December, agreeing to pay at least $2.6 billion to authorities in Brazil, Switzerland and the U.S. It admitted company executives broke the law. "Although not without flaws, the investigations revealed to the country the systemic nature of corruption in Brazil. Brazilians knew intuitively that the problem existed but did not understand how extensive it was," says Paulo Sotero, director of the Brazil Institute at the Wilson Center in Washington D.C.
Brazil's current government, led by President Michel Temer who took office in May, remains deeply unpopular. Temer's approval rating hovers around 10%. Five of his cabinet ministers have resigned due to corruption allegations, and last week his foreign minister resigned, citing health reasons. Temer's administration passed a key law to put a cap on public spending, which had ballooned during the two previous presidencies. While it was lauded by economists and investors, it's drawn widespread scorn from Brazilians struggling in poverty and unemployment. But to truly reel in public spending, Temer is attempting to reform the country's pension system. With low approval ratings and presidential elections on the horizon in 2018, experts argue such a reform will be tough to pass. Still, there are signs of recovery. Foreign investment, scared away by the bribery scandal, has returned. Brazil's stock market is up 60% in the past 12 months in dollar terms and its currency, the real, has bounced back after plunging. The IMF forecasts Brazil's recession ending this year but predicts growth will be less than 1%.